Magnetic resonance imaging (MRI) can reveal a range of degenerative findings and anatomical abnormalities; however, the clinical importance of these remains uncertain and controversial. We aimed to investigate if the presence of MRI findings identifies patients with low back pain (LBP) or sciatica who respond better to particular interventions. MEDLINE, EMBASE and CENTRAL databases were searched. We included RCTs investigating MRI findings as treatment effect modifiers for patients with LBP or sciatica. We excluded studies with specific diseases as the cause of LBP. Risk of bias was assessed using the criteria of the Cochrane Back Review Group. Each MRI finding was examined for its individual capacity for effect modification. Eight published trials met the inclusion criteria. The methodological quality of trials was inconsistent. Substantial variability in MRI findings, treatments and outcomes across the eight trials prevented pooling of data. Patients with Modic type 1 when compared with patients with Modic type 2 had greater improvements in function when treated by Diprospan (steroid) injection, compared with saline. 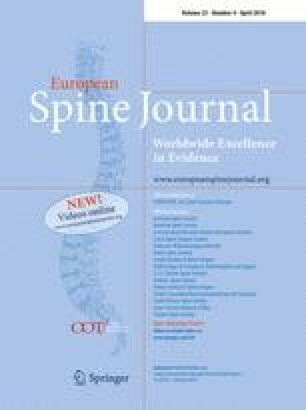 Patients with central disc herniation when compared with patients without central disc herniation had greater improvements in pain when treated by surgery, compared with rehabilitation. Although individual trials suggested that some MRI findings might be effect modifiers for specific interventions, none of these interactions were investigated in more than a single trial. High quality, adequately powered trials investigating MRI findings as effect modifiers are essential to determine the clinical importance of MRI findings in LBP and sciatica (PROSPERO: CRD42013006571). We thank Professor Michele Crites-Battie and Professor Jeffrey G. Jarvik for reviewing included studies and suggesting possible additional studies. We also thank authors from the included studies for providing additional information.